Chalmers was another auto brand that seemed to come and go very quickly, debuting in 1908 with a popular line of low-price cars. A new factory was built along the south side of Jefferson Avenue in 1907, and though the company enjoyed strong sales early on, it was eventually bought out by Maxwell in 1922, which itself was absorbed by Chrysler in 1924. 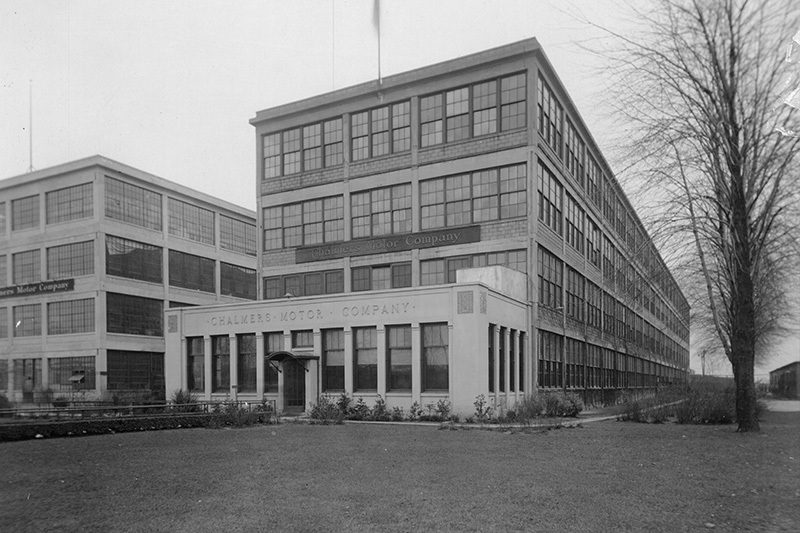 In later years, the Chalmers plant was used for final assembly of Chrysler cars and trucks, until it was demolished in 1991.